What do you mean by the Term Probability? What is Probability and Statistics? 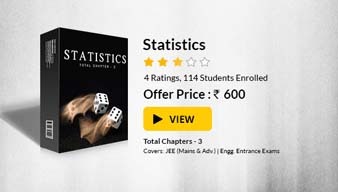 Probability is a very popular topic of the Mathematics syllabus of the IIT JEE. It is not considered to be a very simple topic, but it is important to master the topic in order to remain competitive in IIT JEE. Majority of the students find it difficult to master this topic because their basics are not clear. In this chapter, we shall study the methodologies of computing the probability of an event, be it complex or simple. We shall try to comprehend the tools used for this purpose. In an attempt to make the subject easily comprehensible and clearly understandable a large number of illustrations and problems are selected and solved. Every aspect is fully supported by sufficient number of relevant examples. The students will note that for the understanding of the subject matter of this chapter, the knowledge of permutation and combination is essential. We shall first throw some light on the meaning of probability and then proceed toward the various terms related to it. In each of the above sentences there are different degrees of certainty of results. This degree of certainty can be measured with the help of Probability. Hence, Probability in general terms can be described how likely something will happen. As the coin is unbiased, the possible outcome of ‘head’ and ‘tail’ is equally probable. Since there are no other outcomes possible, the probability is ½ (i.e. 50%) of either “head” or “tail”. In other words, probability that head will occur is 1 out of 2 outcomes and probability of tail is also 1 out of 2 outcomes. For Example: When a coin is tossed 100 times, how many heads will come up? As per our above example, probability that head turns up is ½, so expected is 50 Heads. But when we actually try it, we might get 46 or 45 or 57 heads. But in most cases the number will be around 50. 1. Throwing a dice: When we throw a dice, there can be six possible outcomes. We can get any number among 1 to 6 and hence the total number of possible outcomes is 6. The probability of getting any number from 1 to 6 is therefore 1/6. But what is the probability of getting a 7 on the throw of a dice? Since it is not possible to get a 7 on a dice hence, its probability is zero. 2. 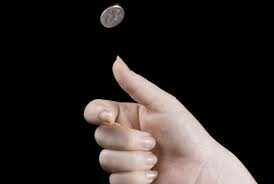 Tossing a coin: When a coin is tossed, we can either get a head or tail. So, there can be two possible outcomes and the rpobability of each is ½. Hence, P(H) = P(T) = ½.
Probability and Statistics is a branch of Mathematic s that studies the possible outcomes of events and analysis of random phenomena, interpretation and display of numerical data. The outcome of random event cannot be determined before it occurs, but it may be one of the several possible results or outcomes. The actual outcome is to be determined by chance. Probability has many applications in the field of Statistics, Science and Technology, Economics, etc. 1. The number of outcomes favourable to A are denoted by n(A) and total number of outcomes in sample space are denoted by n(S). Hence, the above formula becomes P(A) = n(A)/n(S). 2. The probability of an event can vary between 0 to 1, i.e. 0 ≤ p ≤ 1. 3. Probability can never be negative. 4. Probability of occurence of an event = 1 – (Probability that it doesn’t occur). 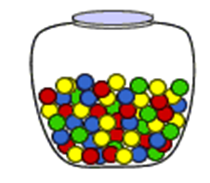 A glass jar contains 5 red, 6 green, 3 blue and 8 yellow coins. If a single coin is chosen at random from the jar, what is the probability of choosing a red coin, a green coin, a blue coin or a yellow one? This shows that the outcomes are not equally likely. An experiment or a trial refers to an action whose result is not certain. 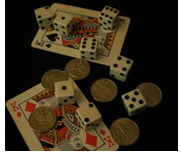 Some examples of trials include tossing a coin, throwing dice, drawing a card from a deck of cards. Experiment: An operation which can produce some well-defined outcome(s). An experiment conducted to verify the Newton’s law of motion. Random Experiment: If an experiment, when repeated under identical condition does not produce the same outcome every time. All the outcomes of the random experiment are known in advance, but not any specific outcome. For Example: Throwing a die is a random experiment because we know in advance that there are only six possible outcomes of the experiment i.e. 1, 2, 3,4,5,6 but it is not possible to know which of these six numbers will finally be the result. Outcome: The result of random experiment is called as outcome of the experiment. All the possible outcomes of an experiment are known as the sample space. Example: There are 52 cards in a deck. Hence, the sample space is all 52 cards. A sample space is made up of sample points which refers to just one of the possible outcome. 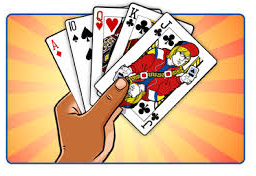 Eg: In a deck of cards, getting the King of Hearts is a sample point. Please note that "King" is not a sample point as there are 4 Kings which constitute 4 different sample points. Obtaining a ‘2’ when a dice is thrown is a sample point. A single result of an experiment is called an event. Some examples of events include getting a tail on the toss of a coin is an event. Elementary Event: An outcome of a random experiment is known as an elementary event. Example: Consider the random experiment of tossing of a coin. The possible outcomes of this experiment are head (H) or tail (T). E2 = Getting tail (T) on the upper face of the coin. Compound Event: If an event obtained from a random experiment is by combining two or more elementary events associated to the random experiment. Example: In a single throw of a die, the event “Getting an even number” is a compound event obtained by combining elementary events 1, 3 and 5. 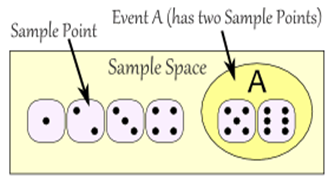 Certain Event: The event which contains all the sample points of sample space is called a certain event. Example: A random experiment of a card drawn at random from a pack of 52 cards. Let event A: card drawn is either red or black. Impossible Event: An event which does not contain any sample point of the sample space S is called as impossible event. Null set Ø represents an impossible event. 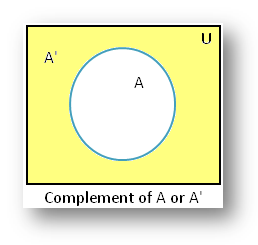 Let A be an event of Sample Space S. The set of all outcomes which are in S but not in A is called complement of the event A and is denoted by A’. Let S be the sample space. 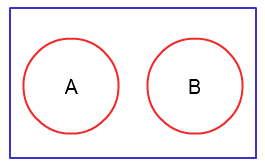 A and B be two events of S. Events A and B are said to be mutually exclusive if they do not have any sample point in common. Two events are said to be independent of each other if the probability of the occurrence of one event does not affect the probability of the occurrence of the other event. Example: Suppose you rolled a dice and tossed a coin. Now the probability of getting a particular number on the dice in no way influences the probability of getting a head or a tail on the coin. Hence, three events are said to be independent if they are independent in pairs as well as mutually independent. Similarly, if we have n events A1, A2, …. An, then they are said to be independent if they satisfy nC2 + nC3 + …. + nCn = 2n – n – 1 conditions. A Probability distribution is a table or an equation that links each outcome of a statistical experiment with its probability of occurrence. Suppose a coin is flipped 2 times. This statistical experiment can have 4 possible outcomes: HH, HT, TH, and TT. Let variable X represents the number of Heads that result from this experiment. The variable X can take the values 0, 1 or 2. In this example, X is a random variable. A probability distribution is a table or an equation that links each outcome of a statistical experiment with its probability of occurrence. The below table shows each outcome associated with its probability with reference to the above experiment conducted with X as no of heads. Sometimes the probability of a given event depends on the occurrence or non-occurrence of some other event. Suppose A and B are two events in a sample space S.
m12 = number of sample points in A∩B. The probability of A∩B, (i.e. of B) in the sample space A is m12 / m1. This is the probability of B under the assumption that A takes place. It is denoted by P(B/A) and is called the conditional probability of B given that A takes place. Therefore, P(B/A) = m12 / m1  = n(A∩B)/n(A), provided n(A) ≠ 0. Similarly, P(A/B) = m12 / m2  = n(A∩B)/n(B), provided n(B) ≠ 0. Two events A and B are said to be independent, if P(A/B)=P(A) and P(B/A) = P(B). In Probability, Bayes theorem describes the probability of an event, based on the prior knowledge of conditions that might be related to the event. For Example, cancer is related to age, and then using Bayes theorem, a person’s age can be used to more accurately assess the probability that they have cancer, compared to the assessment of the probability of cancer made without knowledge of the person’s age. The probability given under Bayes theorem is also known by the name of inverse probability, posterior probability or revised probability. This theorem finds the probability of an event by considering the given sample information; hence the name posterior probability. The Bayes theorem is based on the formula of conditional probability. 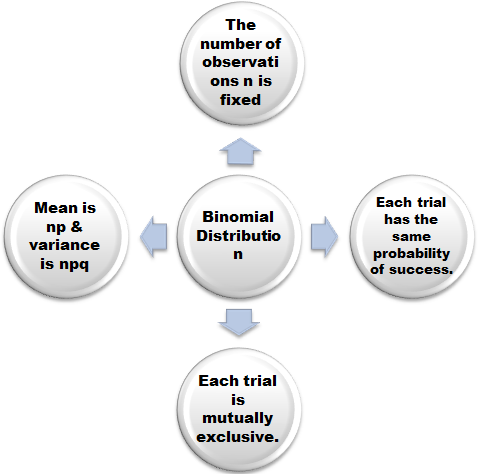 Binomial distribution is one of the most important distributions in the probability theory. The probability distribution that summarizes the likelihood that a value will take one of two independent values under a given set of parameters or assumptions is called the binomial distribution. 1. The number of observations n is fixed. 3. Each trial has the same probability of success. 4. Each trial is mutually exclusive. 6. Σnx=k  nCx qn-x px = (q + p)n = 1. 7. Mean of binomial distribution is np. 9. Standard deviation is given by (npq)1/2, where n,p and q have their meanings as described above. Let P (A) and P (B) be the probabilities of selection of A and B respectively. Hence, the probability of selection of B cannot be 0.9. A and B are two independent events. 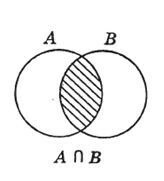 The probability that both A and B occur is 1/6 and the probability that neither of them occurs is 1/3. Find the probability of occurrence of A. 6x2 – 5x + 1 = 0. Hence, the probability of A i.e. P(A) = 1/3 or ½. In a test an examinee either guesses or copies or knows the answer to a multiple choice question with four choices. The probability that he makes a guess is 1/3 and the probability that he copies the answer is 1/6. The probability that his answer is correct given that he copied it is 1/8. Find the probability that he knew the answer to the questions given that he correctly answered it. You might like to refer Binomial Distribution. To read more, Buy study materials of Probability comprising study notes, revision notes, video lectures, previous year solved questions etc. Also browse for more study materials on Mathematics here.